Looking for a garage door specialist? At North Country Garage Doors, we have sold, installed and repaired garage doors and door openers for over 20 years now. In a friendly and relaxed atmosphere, our experienced team will be pleased to guide you in selecting the best garage door according to your needs. Quality is our commitment. 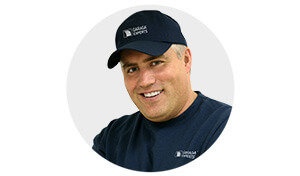 For this reason, we offer you the top quality garage door: Garaga! By offering this line, our customers get the highest quality, most insulated door system around, plus a wide range of garage door models. Visit our complete collection in our image gallery. You’re assured to find the one to perfectly fit with your home’s design. If you have a garage door project in mind, don’t wait any longer. Complete our online quotation form. We would love to have you visit our showroom. Located at 2331, Military Turnpike in West Chazy, you will see and feel the quality of our products. We hope to see you soon. Have you ever realized that your garage door is the biggest moving object of your home? To get the best-performing garage door system year after year, your door opener has to be built to last. At North Country Garage Doors, we can recommend the door opener appropriate for your garage door. We only sell and propose the well-known, top-performing brand, LiftMaster. The manufacturer, Chamberlain Group, designs the most reliable door openers by using exclusively top quality components! Their main focus is on always putting safety first. As a result, their powerful motors and attention to detail produce openers that give you peace of mind. Learn more about their powerful motors in our opener section. Our complete line can be used for any type of application: residential, commercial industrial or agricultural. Proper installation is the key to a well-performing garage door system. But connecting cables and springs yourself can be dangerous as they are under extremely high tension. At North Country Garage Doors, we are the experts. Let our well‑trained technicians install or repair your garage door following the highest standards. If your door system needs to be fixed, we are the ones to call. With fully-equipped trucks on the road, we can quickly get to your home to repair or replace your garage door or even your door opener. To keep your garage door system in top working order, we also offer a maintenance service. You won’t be disappointed! We conveniently serve Plattsburgh, Peru, West Chazy, Champlain, Rouses Point, Keeseville, Lake Placid, Tupper Lake, Malone and Jay areas. We’ll be pleased to serve you ! Plattsburgh, Peru, West Chazy, Champlain, Rouses Point, Keeseville, Lake Placid and Tupper Lake area, Malone, Saranac Lake and Jay area.